We Bring You the World's Best Aviation Courses! We are the highest rated aviation institute in India that stands by its vision to provide the best training to our students worldwide. We are the globally recognized aviation training institute that has skilled students from all over the world. We offer specialized training and our airline courses are thoroughly researched to back you with good placements. We are equipped with a team of highly skilled faculty that makes us one of the best aviation institutes in India. Take admission in the best aviation training Institute. Check for the eligibility and submit your application with us. We provide the best aviation training in India. Get trained under highly skilled faculties and go for an internship. Take our aviation training courses and find yourself placed in the top-leading aviation companies of Domestic and International. 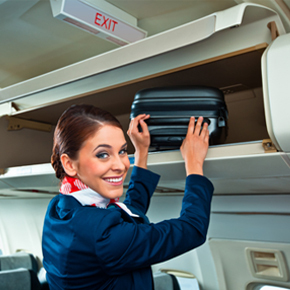 If you have a charming personality and have the potentiality to get along with people well, then you may consider a career as a cabin crew. Our aviation training is competent to educate the nuances of taking up various responsibilities on air. We train men and women erstwhile to understand the security measures to be taken in the aircraft and how to deal with complicated situations. Cargo operations are difficult and require high persistence and skills. We offer advance aviation course for cargo management that include innovative training for cargo operations, business management, on-time performance and planning. Cargo staffs have to be quick and reliable in accepting, handling, and shipping of all types of goods. We train our students as per the changing management that helps them to adapt to any situation irrespective of its complexity. We provide the course for ticketing for the enthusiast candidates. Basic aviation course for ticketing is a short period course that makes the student understands the method of ticketing or document that is necessary while traveling by air. It also includes global distribution and fare calculation process. The course is mandated if you want to become a travel professional. Our basic aviation course is one of the certificate course for ground staff is a well-designed course for students who have the enthusiasm to meet people and work in an international environment. The ground staff course requires lots of commitment, dedication, smartness, and hard work. The course not only helps you take up the everyday challenge of the airport but also grooms your personality. We teach grooming development and look forward to the overall growth of our candidates. JT Aviation welcomes the enthusiastic candidates to make a progressive career in the aviation industry. 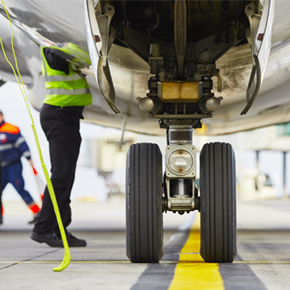 We provide the ultimate destination and a dignified position to our candidates through our aviation training program. The diploma in Aviation Hospitality and Management course is a complete aviation training for one year. If you have the zest to work hard and know how to communicate with people, then this course is certainly programmed for such candidates. We offer hospitality management and advanced aviation training to the cabin crew candidates who are aimed to be an air hostess and flight attendant. The 9-months advanced aviation training course provides you a detailed sneak peak on the internal and external challenges in the Aviation industry. The candidates are made familiarised with the airport and are trained to deal with the flyers. They are groomed and updated with soft skills and time management. This is an advanced aviation management Certificate course that prepares the candidates for job interviews in the aviation industry. The short-term basic aviation course is a gateway to initiate a long and successful career in the aviation industry. 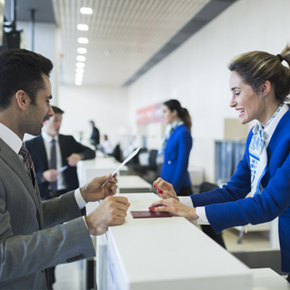 Our aviation training course offers a sneak peak on how to work in aviation, hospitality management, and understand the domains of how to handle complex issues at the airport. Students get an insight of the methodologies to work in international and national airports. Our institute is one of the best institute in india, as it provides due best education. JT Aviation provides a comfort zone to the candidates, to share their problems and rectify their problems and rectify their deficiency. JT Aviation gives a platform to the candidates to improve their communication skill & personality development. When I joined JT Aviation, I had not at all a good personality and I had not fluency in english, as well. After completion of the course, my friends told me about my drastic change. I feel proud to be a student of JT Aviation Academy. As they are really promising about the placements and classes as well. JT Aviation provides me the opportunity to fly around the world and see many countries. I love my institute (i.e) JT Aviation because this is the institute which has fulfilled my dreams. I love my institute a lot, as I had learned so many things from there, along with good teacher & friends. Love them all. We have so many memories attached with our institute ( JT Aviation Academy ), about our classes / functions / events / campussing and at last joining.